Climate change makes the links between energy and environmental law inextricable. 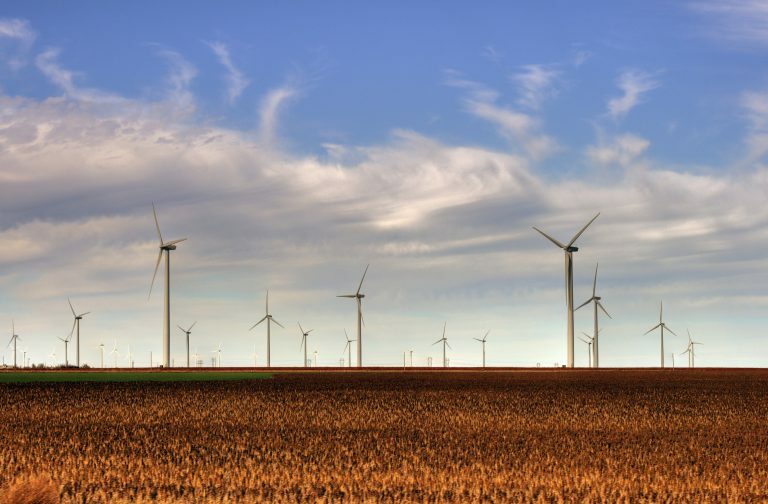 The Sabin Center’s clean law research focuses on how the field of energy law can be updated and expanded to create a sustainable energy future. Our research places particular emphasis on energy efficiency – often the simplest and nearly always the most cost-effective way to reduce emissions and mitigate climate change. The goal of this project is to identify best practices for municipal ordinances covering green buildings, wind, and solar resources and use these to create model ordinances that can easily be adapted by local lawmakers for use in their jurisdictions. The Sabin Center created an energy facility litigation database that contains a list of energy facility litigation spanning the years 2005 through 2011. It is organized according to energy facility type (e.g., coal, nuclear, natural gas, etc.). Within each energy facility type worksheet, the citation, jurisdiction, court, date, and facility location are identified for each listed case. Cases may be sorted on the basis of any of these criteria. The database permits a variety of search permutations. The “filter” function has been turned on in each sheet of the database to enable searching for energy facility cases by jurisdiction, court, date, and facility location. If the filters do not appear in the database as downloaded from the website, it is possible to turn them on by opening the document in Excel. Simply save the file as an Excel sheet onto your desktop and open it. The filter option can be found in the “Data” tab of Microsoft Word 2007. To turn it on, highlight the row containing the category names (this will usually be row 1; press on the number to highlight the entire row) and click on the “Filter” icon. You will see down-arrows appear at the top of every column in the cell containing the category label. Clicking on the down-arrow will produce a drop-down menu from which the relevant search criteria can be selected. There is growing interest in the possibility of integrating distributed energy resources (DERs), such as small-scale solar and storage systems, into wholesale electricity markets. In June 2016, the California Independent System Operator (CAISO) established a program to allow wholesale market participation by DERs, and other wholesale market operators are now looking to do the same. To date, however, the CAISO program has failed to achieve its stated objectives. This paper explores why that is the case and offers lessons for other market operators looking to adopt similar programs. Decarbonizing the U.S. energy system will require a program of building onshore wind, offshore wind, utility-scale solar, and associated transmission that is not only unprecedented—it will exceed what has been done before in the United States by many times, every year out to 2050. This Article discusses the four most important legal processes and obstacles involved in this enormous project: site acquisition and approval; the National Environmental Policy Act (NEPA); state and local approvals; and species protection laws. It also presents recommendations for lowering the obstacles, and briefly discusses corollary actions that are also needed. Does the law permit the New York Independent Service Operator (NYISO) to incorporate, directly or indirectly, a carbon price into New York State’s wholesale electricity market? And, if so, what is the appropriate design of a carbon pricing scheme for the NYISO market? For example, at what level should a carbon price be set and when/how should it be adjusted? How should the revenues generated by such a price be used? What impact (if any) will it have on the Regional Greenhouse Gas Initiative (RGGI) and New York’s Clean Energy Standard? This working paper explores answers to those questions. Improving energy efficiency in existing buildings represents a great opportunity for reducing greenhouse gas emissions. Numerous measures to increase efficiency and decrease emissions have been put in place in cities all around Europe and in the US. But there are some that stand out from the rest, like New York City, which is a remarkable example of commitment to the fight against climate change. This is due to the city’s special characteristics, with a great urban density and a large percentage of greenhouse gas emissions coming from its aged building stock, which has urged its authorities to take important measures in order to eliminate (or at least diminish) its adverse effects. However, there is always room for improvement. Thus, a comparative study between some of the most successful measures developed in selected European cities and New York City, will be aimed at giving some useful elements to legal professionals in order to improve the existing energy efficiency measures for greening the existing building stock in any city around the world. This report examines the range of legal and regulatory tools that state PUCs have to promote energy efficiency. It draws from a broad and deep body of literature on the topic, an examination of relevant state laws and regulations, and interviews with experts in the private and public sectors. The handbook sets forth a wide range of policies that PUCs around the country are using to successfully promote energy efficiency, including setting energy efficiency targets, aligning utility incentives with energy efficiency goals, financing energy efficiency, resource planning, demand response policies, and incorporating energy efficiency into state environmental policy act and siting procedures. The online Public Utilities Commissions Bibliography gathers together the resources used to produce our handbook into an easy-to-access online format. The framework of U.S. laws governing energy efficiency and renewable energy is one of fragmentation across levels of government, regions of the country, types of energy resources, regulatory techniques, and policy objectives. Those who attempt to navigate these various laws and accomplish a substantive objective, such as building a project, must be prepared to dive into a broad range of disparate, uncoordinated provisions that apply to the specific kind of facility and location where it would be built. The Law of Clean Energy provides a current, clearly written explanation of the laws that apply and the critical legal issues involved in the transition to a clean energy economy. The book includes as its appendix a 50-state survey of state actions on clean energy. The survey provides a brief overview of the laws and policies adopted by each state to promote energy efficiency and renewable energy. This book was co-published by the American Bar Association’s Section of Environment, Energy and Resources and the Environmental Law Institute in August 2010. It provides readers with an overview of green buildings and sustainable development. It highlights significant statutes and regulations as well as legal issues that attorneys and other building professionals should be aware of when advising clients seeking to construct, finance or lease a green building. It is available here. Through 2012, SCCCL maintained a blog called the “Green Building Law Update Service,” which tracked developments in the field of green buildings law. The posts can be viewed here. All publications on energy efficiency are available here. All publications on renewable energy are available here. The Center works directly with governors, legislators, regulators, planners, policy makers, and other decision makers, providing technical assistance to help them create the policies and practices that will facilitate America’s transition to a clean energy economy. The mission of the Center is to incorporate best practices from around the nation and world to accelerate the development of a new energy economy. EPA’s State and Local Climate and Energy Program launched a new tool in February 2014 that estimates the emissions benefits of energy efficiency and renewable energy policies and programs. The AVoided Emissions and geneRation Tool (AVERT) is a free tool with a simple user interface designed to meet the needs of state air quality planners and other interested users. Non-experts can easily use AVERT to evaluate county-level reductions of electric power plant emissions due to energy efficiency (EE) and renewable energy (RE) policies and programs. The Advanced Energy Legislation Tracker database contains information for advanced energy legislation across all 50 states for free to any user. Public Utility Commissions (PUCs) around the country regulate over $100 billion of energy investments each year. To clarify the complex, high-stakes world of state energy regulation, the PUC Portal gives users insight into the key players and energy infrastructure in each state, as well as how states compare to one another. Federal Finance Facilities Available for Energy Efficiency Upgrades and Clean Energy Deployment. A resource guide that lists the various federal financing programs for which energy efficiency and clean energy qualify – meant to make it easier for state, local and tribal leaders, along with their partners in the private sector, to find capital for energy efficiency and clean energy projects. Regulatory Assistance Project. RAP is a nonprofit focused on long-term sustainability through energy solutions. Recommended reading list: Provides guides for regulators, utility companies, and environmental advocates for understanding energy regulations in the U.S. and internationally. Information on energy efficiency, utility regulations, compliance, and energy pricing can be found. American Council for an Energy Efficient Environment. The ACEEE is a nonprofit organization that works to advance energy efficiency policies, programs, technologies, behaviors, and investments. Library provides presentations, papers, and reports published by ACEEE. Energy Efficiency Policy Database searchable by state is also available. Colorado State Advanced Energy Legislation Tracker. Colorado State University’s Center for the New Energy Economy (CNEE) has designed the Advanced Energy Legislation (AEL) Tracker to track the more than 2,100 bills under consideration in state legislatures that could change the way Americans produce, buy and use energy. Database of State Incentives for Renewables and Efficiency. DSIRE is a source for state, local, utility, and federal incentives and policies that promote renewable energy and energy efficiency. The library provides preports, papers, articles, and presentations published mostly by DSIRE staff, with some governmental and private sector reports. U.S. Department of Energy publication library. Washington State University Energy Library. Full-service library dedicated to energy-related research. Includes books, reports, government documents, trade journals, newsletter, and access to electronic databases. NYSERDA publications and technical reports. Database for Energy Efficient Resources. California Energy Commission and California Public Utilities Commission (CPUC) sponsored database designed to provide well-documented estimates of energy and peak demand savings values, measure costs, and effective useful life all with one data source. Institute for Energy Efficiency. Provides current information and resource on news, events, and new technologies related to energy efficiency. Sabin Center Public Utility Commission Handbook Bibliography. Detailed bibliography from a handbook written by a group of law students under the supervision of SCCCL Deputy Director Shelley Welton examining the range of legal and regulatory tools that state public utility commissions have to promote energy efficiency. Intended as a resource for commissions, staff, and advocates, the handbook examines the breadth of strategies that PUCs have at their disposal, including both direct energy efficiency policies, and methods of incorporating energy efficiency concerns into other areas of PUC decision-making.